Carl A. Olson was born circa 1904 at Wisconsin. He was the son of (?) Olson and Annie C. (?). [S243] U.S. Federal Census 1920 U.S. Federal Census, by Ancestry.com, ED130. Dwelling 96-116. Name Variation Fredrick Wilhelm Smuhl was also known as Fred. Fredrick Wilhelm Smuhl married Caroline E. Zibell. Fredrick Wilhelm Smuhl was born circa 1860 at Germany or Poland. 18 June 1895 Eidsvold, Lyon, Minnesota Fredrick Wilhelm Smuhl appeared on the census of 18 June 1895 at Eidsvold, Lyon, Minnesota. Married Name Her married name was Smuhl. Caroline E. Zibell married Fredrick Wilhelm Smuhl. Name Variation Mary E. Smuhl was also known as May. Married Name circa 1907 As of circa 1907,her married name was Freund. Mary E. Smuhl was born circa 1890 at Minnesota. She was the daughter of Fredrick Wilhelm Smuhl and Caroline E. Zibell. Mary E. Smuhl married Henry Freund Sr. circa 1907. 18 June 1895 Eidsvold, Lyon, Minnesota Mary E. Smuhl appeared on the census of 18 June 1895 in the household of Fredrick Wilhelm Smuhl at Eidsvold, Lyon, Minnesota. Mary E. Smuhl had 1 with 1 living in 1910 children. Children of Mary E. Smuhl and Henry Freund Sr.
[S244] U.S. Federal Census 1910 U.S. Federal Census, by Ancestry.com, ED177. Dwelling 221. [S243] U.S. Federal Census 1920 U.S. Federal Census, by Ancestry.com, ED219. Dwelling 51. [S250] U.S. Federal Census 1930 U.S. Federal Census, by Ancestry.com, ED15. Dwelling 182. Henry Freund Sr. was born on 19 March 1884 at Missouri. He married Mary E. Smuhl, daughter of Fredrick Wilhelm Smuhl and Caroline E. Zibell, circa 1907. Henry Freund Sr. died in August 1970 at age 86. Henry Freund Sr. obtained US Social Security Card at Wisconsin; last residence Rhinelander, Oneida, Wisconsin. On 12 September 1918 at World War I Draft Registration, Vilas, Wisconsin. Name Variation Ervin C. Freund was also known as Erving. Ervin C. Freund was born on 11 October 1908 at Wisconsin. He was the son of Henry Freund Sr. and Mary E. Smuhl. Ervin C. Freund died in March 1998 at age 89. Ervin C. Freund obtained US Social Security Card at Wisconsin; last residence Rhinelander, Oneida, Wisconsin. Laurinda C. Freund was born circa 1911 at Wisconsin. She was the daughter of Henry Freund Sr. and Mary E. Smuhl. Henry M. Freund was born on 26 August 1912 at Wisconsin. Henry M. Freund died in April 1986 at age 73. Henry M. Freund obtained US Social Security Card at Wisconsin; last residence Rhinelander, Oneida, Wisconsin. Clayton E. Freund was born on 22 September 1914 at Wisconsin. Clayton E. Freund died on 20 February 1992 at age 77. Clayton E. Freund obtained US Social Security Card at Wisconsin; last residence not specified. Herbert W. Freund was born on 10 April 1916 at Wisconsin. Herbert W. Freund died on 9 November 1993 at age 77. Herbert W. Freund obtained US Social Security Card at Indiana; last residence Rhinelander, Oneida, Wisconsin. Irene M. Freund was born circa 1919 at Wisconsin. 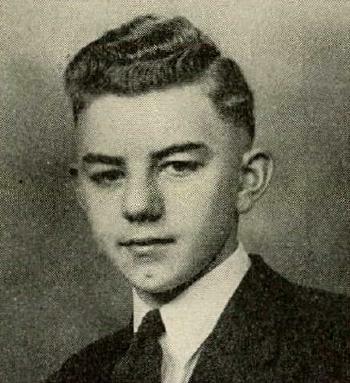 Kenneth V. Freund was born on 10 January 1925 at Wisconsin. Kenneth V. Freund died on 3 April 1999 at age 74. Kenneth V. Freund obtained US Social Security Card at Wisconsin; last residence Woodruff, Oneida, Wisconsin. Albert A. Smuhl was born circa 1884 at Minnesota. He was the son of Fredrick Wilhelm Smuhl and Caroline E. Zibell. 18 June 1895 Eidsvold, Lyon, Minnesota Albert A. Smuhl appeared on the census of 18 June 1895 in the household of Fredrick Wilhelm Smuhl at Eidsvold, Lyon, Minnesota. 3 June 1905 Royal, Lincoln, Minnesota Albert A. Smuhl appeared on the census of 3 June 1905 at Royal, Lincoln, Minnesota. Marvin J. Smuhl was born circa 1889 at Minnesota. 18 June 1895 Eidsvold, Lyon, Minnesota Marvin J. Smuhl appeared on the census of 18 June 1895 in the household of Fredrick Wilhelm Smuhl at Eidsvold, Lyon, Minnesota. Lizzie Smuhl was born circa 1893 at Minnesota. 18 June 1895 Eidsvold, Lyon, Minnesota Lizzie Smuhl appeared on the census of 18 June 1895 in the household of Fredrick Wilhelm Smuhl at Eidsvold, Lyon, Minnesota. Name Variation Clara Sophia Repka was also known as Rzepka. Married Name 20 May 1913 As of 20 May 1913,her married name was Kohlmeyer. Clara Sophia Repka was born on 2 August 1892. She was the daughter of Thomas Repka and Theresa (?). Clara Sophia Repka died on 17 October 1983 at age 91. Harold Raymond Kohlmeyer was born on 17 April 1917. He was the son of William Albert Kohlmeyer and Clara Sophia Repka. Harold Raymond Kohlmeyer died in November 1971 at age 54. Harold Raymond Kohlmeyer obtained US Social Security Card at Wisconsin; last residence not specified. Raymond William Kohlmeyer was born on 26 December 1922. Raymond William Kohlmeyer died on 1 April 1989 at age 66. Raymond William Kohlmeyer obtained US Social Security Card at Wisconsin; last residence Shawnee Mission, Johnson, Kansas. 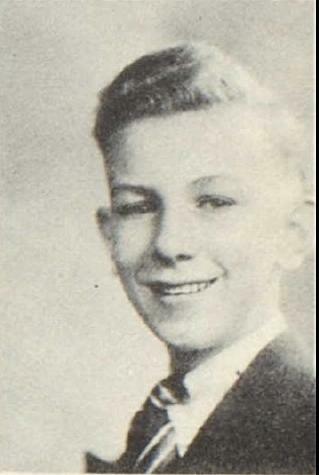 He graduated in 1940 at Reedsburg High School, Reedsburg, Sauk, Wisconsin. Thomas Repka married Theresa (?). Married Name Her married name was Repka. Theresa (?) married Thomas Repka. Name Variation Evalyn D. Kohlmeyer was also known as Evelyn. Married Name 13 October 1934 As of 13 October 1934,her married name was Zimmerman. Evalyn D. Kohlmeyer was born on 13 April 1914. She was the daughter of William Albert Kohlmeyer and Clara Sophia Repka. Evalyn D. Kohlmeyer married William B. Zimmerman on 13 October 1934. Evalyn D. Kohlmeyer died on 16 February 2010 at age 95. Name Variation William B. Zimmerman was also known as W. B.
William B. Zimmerman was born in 1907. He married Evalyn D. Kohlmeyer, daughter of William Albert Kohlmeyer and Clara Sophia Repka, on 13 October 1934. William B. Zimmerman died in 1993. Married Name Her married name was Rollason. Florence Kohlmeyer was the daughter of William Albert Kohlmeyer and Clara Sophia Repka. Florence Kohlmeyer married Arthur Rollason. Arthur Rollason married Florence Kohlmeyer, daughter of William Albert Kohlmeyer and Clara Sophia Repka. Clifford Kohlmeyer married Marlene (?). Clifford Kohlmeyer was born circa 1928. Ida Repka was the daughter of Thomas Repka and Theresa (?). As of 1962, Ida Repka was never married. She died after February 1962. Theresa Repka was the daughter of Thomas Repka and Theresa (?). Theresa Repka married (?) Meyer. (?) Meyer married Theresa Repka, daughter of Thomas Repka and Theresa (?). Henry J. Schenck was born circa 1864 at Germany. He married unknown (?) before 1894 at first marriage for him. Henry J. Schenck married Ida M. Radtke circa 1901. Married Name circa 1901 As of circa 1901,her married name was Schenck. Ida M. Radtke was born circa 1881 at Wisconsin. She married Henry J. Schenck circa 1901.